Damien Chazelle’s Los Angeles musical “La La Land” sang and danced its way to a leading seven Golden Globes nominations, with Barry Jenkins’ celebrated coming-of-age tale “Moonlight” close on its heels with six nods. 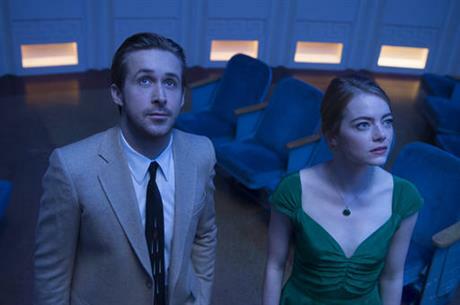 “La La Land” earned nominations for its lead actors, Emma Stone and Ryan Gosling, as well best picture, comedy or musical. Chazelle is also among those up for best director in the nominations announced Monday by the Hollywood Foreign Press Association.